Recently comic book writer and artist Simon Roy has made quite a name for himself with his science fiction series Prophet. Before that though, he was known for his shorter works — seven of which have now been collected in Jan’s Atomic Heart and Other Stories, coming late this March in trade paperback from Image Comics. 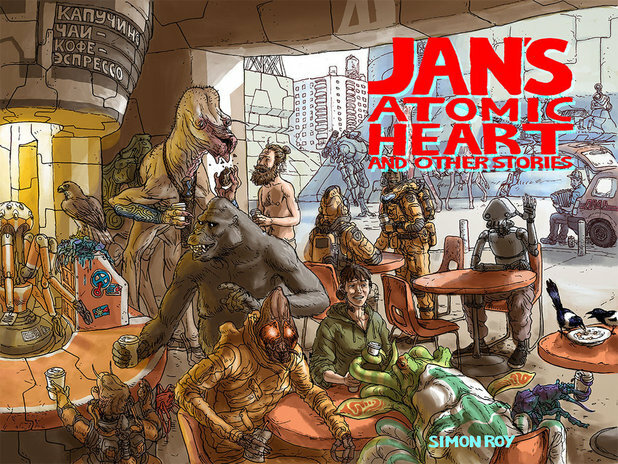 In stories like “Jan’s Atomic Heart” and “Shipwrecked with Dan the Gorilla,”, Roy often shows humans interacting with aliens and other species in a very slice-of-life and social way. Check it out at Digital Spy.